Persian shield is an old-fashioned plant and has not changed a great deal since Victorian times. No change has been needed. 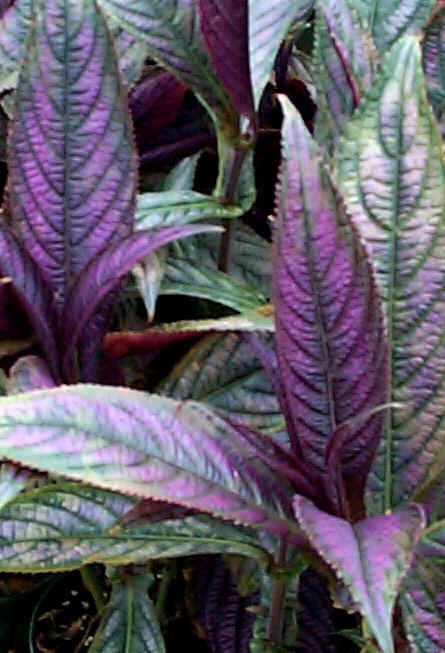 It’s large purple and silver leaves look fantastic in large landscapes or small gardens. There are no flowers on this but the leaf color is useful enough. Good in garden situations, it also does well in large patio containers where growth is restricted. It makes a terrific center plant for mixed containers but keep in mind that the first frost will turn it into a blackened goo. It can become a large plant (to 5 feet) but can be cut back or trimmed if it gets too big. Pinching will restrain growth and also make for a wider plant. It does not require any staking. It can be used as a specimen but also lends itself well to contrast other plants, especially silver plants like Lamb’s Ear or Dusty Miller. 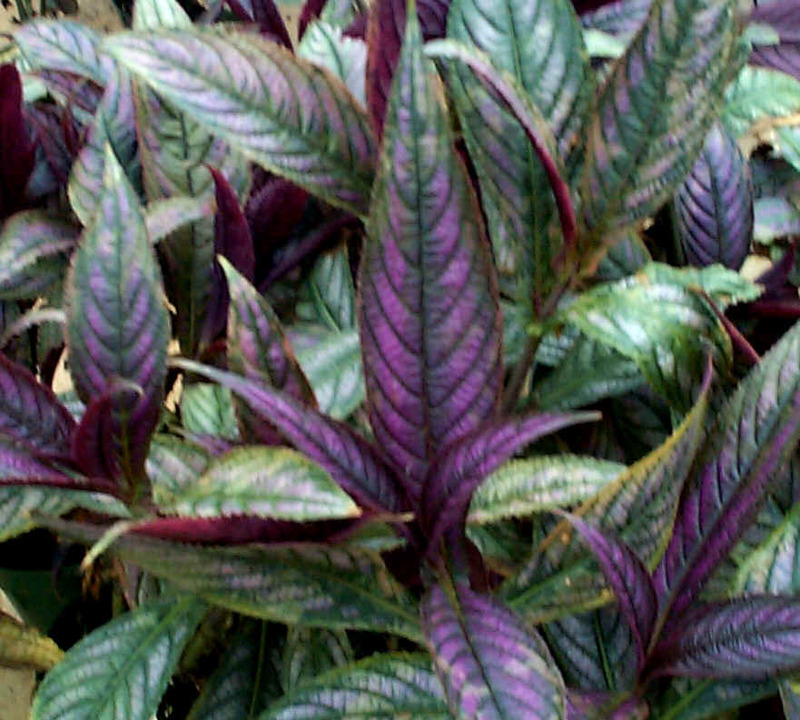 It also does well with purple or red in the flower or foliage as they can reflect the color in the Persian Shield’s leaf. Growth is a bit slow in the beginning, but as temperature rise, growth is fast. It has excellent heat tolerance and above average drought tolerance( in dry times, watering will be needed to reduce wilting). Persian Shield should have full sun and good drainage to look it’s best. So far, deer or rabbits have not found it very appealing and there are few other insect or disease problems with this plant. This is an excellent performer in New Jersey and in most of the rest of the country.